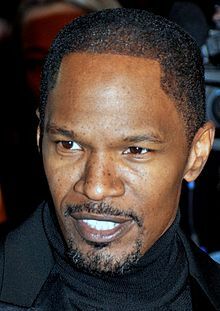 Eric Marlon Bishop (born December 13, 1967), kent professionally as Jamie Foxx, is an American actor, sangster-sangwriter, staund-up comedian an muisicker. ↑ "Monitor". Entertainment Weekly (1237): 26. December 14, 2012. This page wis last eeditit on 2 September 2018, at 17:03.